Antibodies targeting immune checkpoint molecules offer promising tools in cancer immunotherapy. However, drawbacks of this approach are systemic side effects since immune checkpoint molecules are expressed both on healthy and tumor cells. 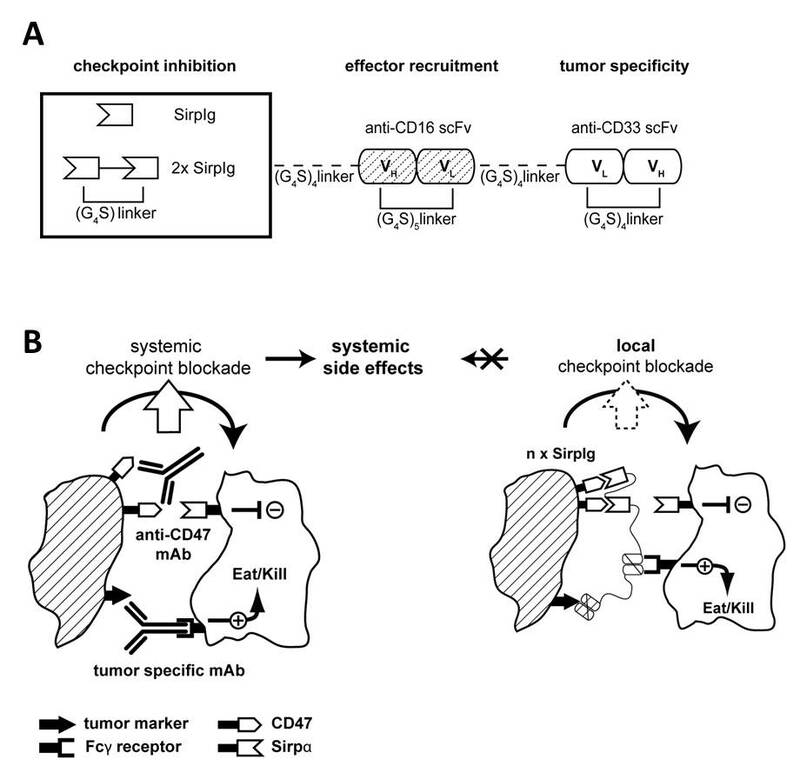 Here novel trispecific molecules (LiCADs, local inhibitor checkpoint antibody derivatives) comprising binding sites with specificity for a tumor cell, for an effector cell and for a checkpoint molecule, respectively, are presented. In this construct the affinity of the checkpoint molecule binding site is rather weak especially compared to the tumor targeting binding site. Thus checkpoint binding is restricted and concentrated to tumor cells avoiding undesired toxicity to healthy cells and accordingly systemic side effects.